The municipality of Monchique is historically noted for the presence of the Romans at Caldas de Monchique, attracted by the healing power of its waters. 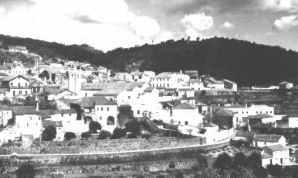 In the centuries that followed, the population slowly grew towards the mountain and, by the 16th century, Monchique was important enough as a settlement to receive a visit from King Sebastian (1554-1578), who intended to grant it the status of Town. Linen and wool weaving, as well as activities linked to chestnut wood, contributed toward the prosperity and development of Monchique, in such way that, in 1773, it was promoted to Town. Economic fluctuations resulting from industrialization meant the loss of the textile and other manufacturing industries. Today, Monchique is an attractive town, with an active craftsmanship, a diversified economy and geared towards tourism and to handcrafting products that bear witness of the mountain's cultural wealth. The fountains of Monchique, which are objects of significant historical, architectural and urban value, attract many visitors who come to us for the quality of the water. Among the various natural resources, water is the most important element for the subsistence of diverse species, all of which rely on its availability to meet their needs. Nearly every aspect of human life is centered around water, which is why populations develop in the vicinity of springs and fountains. These provided water to population centers over the centuries. 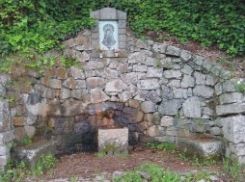 A fountain is noted for the natural emergence of groundwater which springs up at points where the aquifer is intercepted by the land's surface. The fountain can also emerge through erosion, thus reaching the aquifer layer with artesian water (artesian spring). Many of the existing mines and fountains in Monchique have been targeted for intervention work, as it is important to revitalize these places and offer both townspeople and visitors and alternative source of good-quality water. Wind energy is one of the biggest renewable sources with greater potential and future development, not only given the targets set forth under the Kyoto Protocol, but also due to the interest shown by authorities and companies, given its financial profitability. 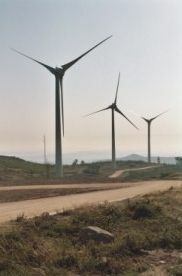 Today, along the vast peaks of Serra de Monchique, we can see the 5 windmills which constitute the Madrinha Wind Farm. Currently in operation, it now safely and cleanly generates enough energy to serve about 13,800 household consumers. Free-time venues for young people are significant places of learning and, in this regard, the way such free time is used is a constant concern for parents and all those devoted to youth. The Free-time Activities Program, promoted by the Portuguese Youth Institute, aims to guide young people towards undertaking occupational activities which potentiate their civic participation. In this regard, the Monchique City Council annually prepares an application for the development of various projects towards responsibility, active participation, youth commitment and motivation. Come and get to know every aspect of the Municipality of Monchique.